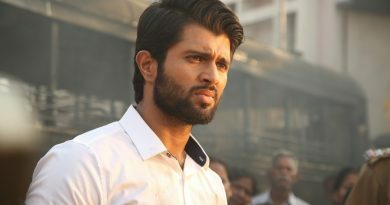 After the success of “Geetha Govindham”, Vijay Deverakonda will next be seen in political thriller film “Nota”. The actor expects the film to set a benchmark and wants every politician to watch it. Q. 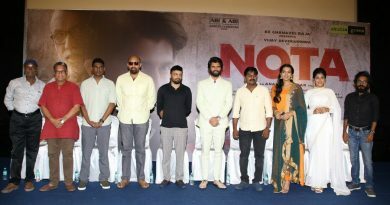 After the huge success of “Geetha Govindham”, there are big plans for your new release “Nota”? A. It’s releasing simultaneously in 4 states in 4 languages — Telugu, Tamil, Malayalam, and Kannada. So the task is huge and schedules tight. I am currently back in Chennai to see things through. Q. How has your career and life changed after the spectacular success of Geetha Govindham? A. I am embarrassed to say I don’t know. Because this is the third time I am getting this question asked in 3 years and I don’t seem to have grown any smarter. The answer still is a no though. I am still the same. My life is the same. Others’ opinions on my life and career have changed. The objective is to keep it simple and mind my own business. Q. Is a successful film meant to further an actor’s skills? Did “Geetha Govindham” completely erase the image of the sodden hedonist in “Arjun Reddy”? A. Point was to tell a good story. ‘Nota’ will be another film I am proud of on my list. Another new character explored, and a major step out of my comfort zone. I expect a benchmark will be set. (I) Look forward to seeing who will beat it when it’s set, because it was an excruciating task. Q. What do you play? A. I play a real guy, a person you would like to meet or at least have met somewhere. Q. Does cinema have to reflect the leading man’s socio-political ideology? A. Nope. I think there is no need for anything. There is only a choice of the role that an actor has to make. He must live by it. Q. Do you think actors and other thought influencers can change the way we think and vote? A. Yes. Cricket, politics, and cinema are what a majority in our country is most passionate about. They have the power to divide the best of friends depending on which side you are on. Getting politics and cinema into a mix and getting it right is what’s exciting. Q. 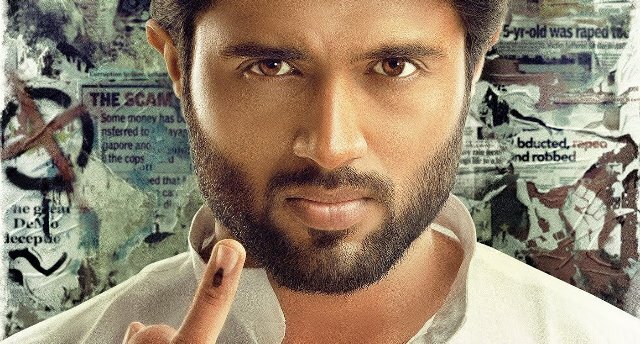 Is “Nota” your most political film to date? A. I think anyone and everyone with the slightest opinion on politics, politicians, administration are in for an experience. I personally want every politician to watch it and think.